With a pre-production S1R in hand, I took to the streets of this iconic Spanish city. 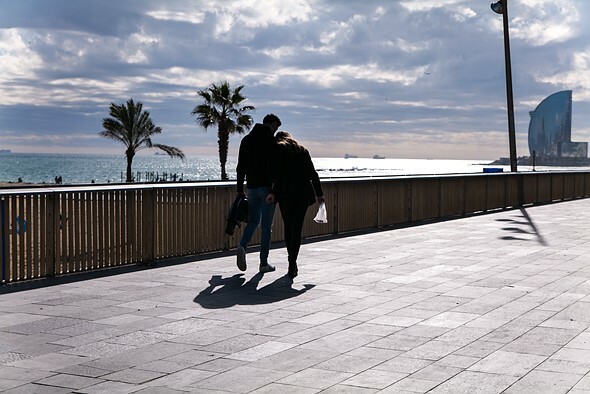 ISO 100 | 1/200 sec | F4 | Lumix S 24-105mm F4 @ 66mm I stepped out onto the promenade with the early afternoon sun shining bright. With the S1R dangling from my right hand, I flipped the on switch as I brought it up to my eye and the enormous 5. 76M-dot electronic viewfinder sprang to life in an instant. I snapped three frames and brought it back down as the oversized camera strap bumped into my leg. "I sure hope one of those is in focus," I thought. All three were, but the camera's Depth from Defocus AF system made it hard to know for sure in that moment. I continued on my way, eventually turning off the promenade toward a series of modern buildings that quickly gave way to a narrow gothic residential street. These ultimately lead me to Barcelona's famed Mercado de La Boqueria, a historic market. Barcelona offers a wonderful mix of new and ancient architecture. Last week I attended Panasonic’s worldwide launch event for the Lumix DC-S1 and S1R in Barcelona, Spain. There I was able to spend an afternoon shooting street photography with an early-production S1R. Because of its not-quite-finished nature, I used the opportunity to get a better understanding of the broader essence of the S-series, rather than assessing its technical merit. 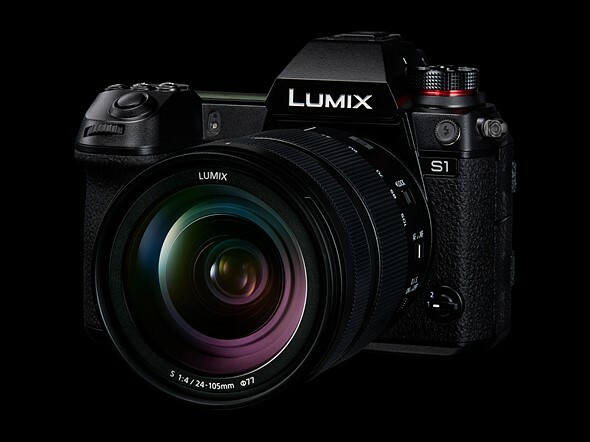 Panasonic is pitching the S1 and S1R as no-comprise packages for professionals: so not only will they have to perform from a technical standpoint, but they also have to handle well. Panasonic aspires to have S-series cameras on the grounds at the 2020 Olympics in Tokyo. If that's going to be a reality, they'll need to operate as well as the Canon and Nikon pro bodies currently being used by most sports photographers. Full disclosure: Panasonic covered our costs to attend this worldwide launch event including flights, lodging and several yummy meals. This was our first opportunity to shoot with the S1 and S1R. Images and impressions are based off of pre-production firmware - performance and image quality may change with final firmware. Images in this story are out-of-camera JPEGs, minimally processed in Adobe Lightroom. Originals can be found in the gallery below. Raw conversions will be added with ACR support. Cured meats, as far as the eye can see. People buzzed around me on both sides as I stopped and glanced at the vendor above. He didn't seem to notice or care about the camera in my hand. I turned 90 degrees and brought it to my eye, pretending to focus on something else, then swung it back around and clicked the shutter four times. Unsure of whether my focus point landed on the vendor, his hand or somewhere else completely, I looked up from the EVF: he was staring my direction. I smiled, gave a little wave and kept on my way. Annoyed with myself for not taking more time to compose, I gave the camera's AF joystick a flick and watched with delight as my AF point zipped across the screen. The ability to quickly move an AF point is critical for many forms of photography and the S1/S1R's fastest setting doesn't disappoint. Of course, none of this matters if you aren't giving yourself the chance to properly compose and move the point in the first place. I continued walking through the market labyrinth with no real sense of direction, letting the allure of brightly-colored candies and glistening seafood guide me. Some time had passed before I noticed a few shops were closing down, so I stepped back out into the street. Before long, I was on La Rambla, a noisy/touristy stretch as famous for its kitschy vendors as it is for its pickpockets. Mercado de La Boqueria is filled with plenty of eye-catching delights. At this point I'd been walking around Barcelona for a few hours with the camera in-hand the whole time. Despite being a big chunk of magnesium alloy and rubber, the S1R wasn't a burden. The grip is comfortable and reaching core controls doesn't compromise one's hold on the camera, nor does it cause strain. There's been a lot of talk about the heft of these two cameras, given their mirrorless pedigree, but I feel the size/weight is justified: they simply handle more like a pro DSLR than a mirrorless camera, and that's ok. Yosuke Yamane, Panasonic’s imaging division president, even confirmed the day prior that the S1 was benchmarked against the Canon EOS 5D Mark IV and Nikon D850, not other mirrorless cameras, and the S1R was benchmarked against the 1D X Mark II and D5. In fact the S1 and S1R may actually be tougher than those DSLRs: you can literally flip the screen out on either, pick them up by the LCD and give them a good hard shake without worry. I know this because it was done the day prior at the launch event by a Panasonic representative as a demonstration of toughness (I did not mimic this test). I’m told this professional construction is a contributing factor to the high MSRP of both cameras compared to offerings from Sony and Nikon. The Gothic quarter is filled with narrow street and open courtyards. I turned off La Rambla, overwhelmed by the buzz of the selfie-stick crowd and made my way into the Gothic quarter. After navigating windy, shadowy streets, I came to a courtyard with the sun illuminating a stone wall, as silhouetted figures wandered by. I knelt down, flipping the tri-angle screen out to frame up the image and zoomed the 24-105mm F4 kit lens in all all the way. Then I waited. As individuals crossed through the scene, I tried to see if I could use the AF joystick and a single point to follow whomever I deemed the main subject, without moving the camera and throwing off the composition. This worked ok, but then I switched the camera to Tracking mode and moved my initial AF point to the edge of the frame where people were entering. A half shutter press over a subject locked focus and engaged tracking - releasing the shutter returned my AF point to its starting place. This proved to be the better way to get the shot I was after. Satisfied with the variety I'd captured and a bit achy in the knees from kneeling, I slammed the dual-hinged screen back in (not as hard as the aforementioned Panasonic rep did, mind you), stood up and continued along my way. The streets of Barcelona have no shortage of characters to photograph. Narrow Gothic alleyways soon turned back into wide streets filled with stately buildings. I stopped for a moment on a busy corner, filled with men in suits descending into and ascending from a subway station. Everyone seemed sucked into their own world, so I zoomed in on several interesting 'characters' and snapped some frames. As someone who normally shoots street photography with primes and tends to avoid kit lenses all together, I was initially hesitant to explore with Panasonic's kit S 24-105mm F4. But throughout the day and beyond, it pleasantly surprised me. The size and weight are both manageable, the zoom range provided great creative versatility and my photos were mostly sharp. Though it is not Leica-certified, as is the case with the S Pro 50mm F1. 4 and S Pro 70-200mm F2. 8, the S 24-105mm F4 handles and shoots like a quality piece of glass, even on this early production camera. It is worth pointing out though that you'll pay ~$900 for the lens in a kit, but $1300 for it own its own. As the sun began to set, I headed back to my hotel to rest before trying my hands at some night photography. Though I wasn't looking to technically assess the camera's 5-axis in-body stabilization, I was excited to drop my shutter speed down a little and explore. Though firmware wasn't complete, the camera's in-body IS + lens IS offered piece-of-mind when shooting at slower speeds. Panasonic has long impressed when it comes to image stabilization. The brand's Dual IS 2 system, offered in both Micro Four Thirds cameras and the S-series, combines 5-axis in-body stabilization with lens stabilization (the S 24-105mm F4 is stabilized). Once on the streets, I pointed the camera at a dimly lit nightclub sign: I was curious to see just how slow I could go in an informal test. I began at one-over-the-focal-length (50mm, 1/50 sec) and dropped my shutter in 1/3rd increments until I hit 1 sec. 'Blurry,' I sighed upon inspecting my slowest sample. After a little more time chimping I determined 1/8 sec to be my slowest speed - not amazing, but I suspect this will improve with final firmware. Satisfied with my informal test, I moved along. That's when a large shimmering structure caught my eye - it was Frank Gehry’s Golden Fish Sculpture. I scurried up to it, giddy with excitement. Positioned underneath, I began shooting frames. "This EVF is unbelievable," I remember thinking as I created my own abstract take on a famous artists' work. It was getting close to dinner and I knew my time with the S1R was winding down. I spent a couple more minutes lying flat on the ground - I wanted to make the most of 24mm and really fill the frame with as many abstract lines as possible. A couple of passing tourists paused for just a moment, seemingly concerned about my well-being, before they continued on their way. Once back at the hotel, I sat in the lobby looking through the day's photos. As I thumbed through, my mind began to wander: for a brand taking its first crack at a truly professional stills camera, the S1R receives high marks for its handling. My afternoon with it resulted in a shooting experience that felt comfortable, organic and fun – even more importantly, it resulted in photos I'm happy with. 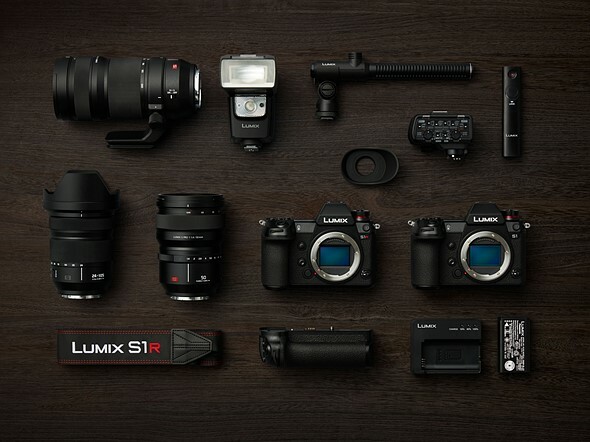 Panasonic set out to make a camera that handles and shoots as well as the best pro DSLRs. In terms of the former, the S1R nails it. And regarding the latter, well, we're excited to get a chance to test a final production model in the coming weeks.